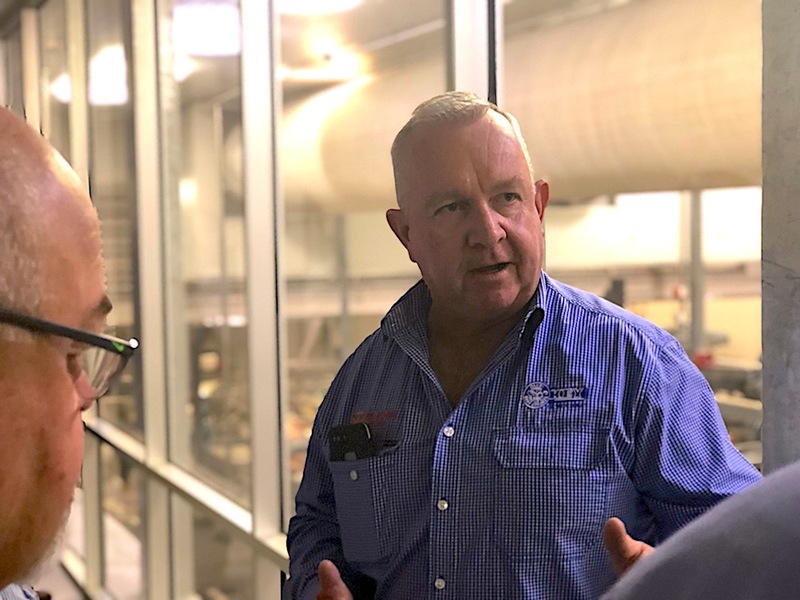 Pat Gleeson explains the food safety processes that underpin Australia beef’s 140-day shelf life standards at a tour of the Oakey Beef Exports plant organised by Food Leaders Australia last Thursday. A KEY advantage Australian beef enjoys in export markets is the long-term shelf life of its product, made possible by world-leading food safety standards in export processing plants. 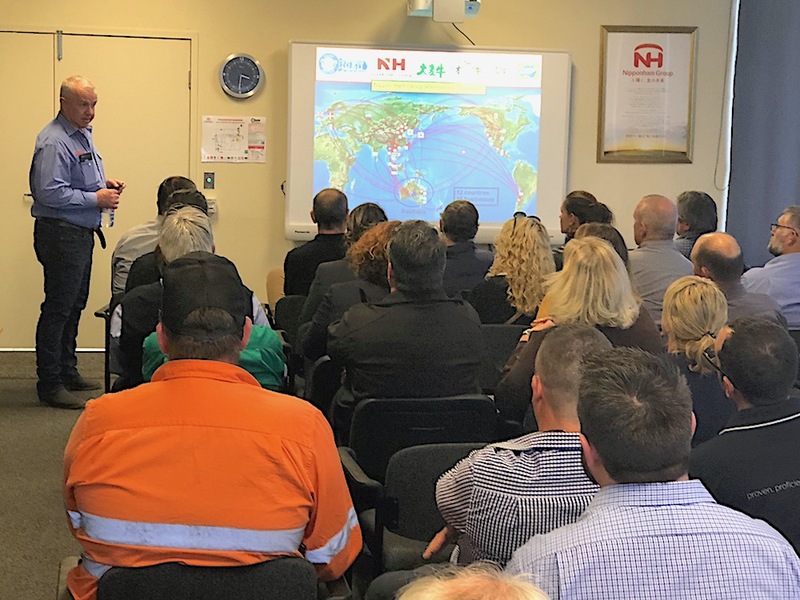 On a tour of the NH Foods plant at Oakey last week a group of business leaders from the Darling Downs gained a first-hand insight into the processes that help to underpin Australia’s international food-safety advantage. Nipponham Group (NH Foods) has owned the Oakey beef processing plant for 27 years, making it the longest-foreign owned red meat company operating in Australia. In that time the Japanese company has invested heavily to transform the Darling Downs facility into one of the most technologically advanced and efficient beef processing plants in Australia. 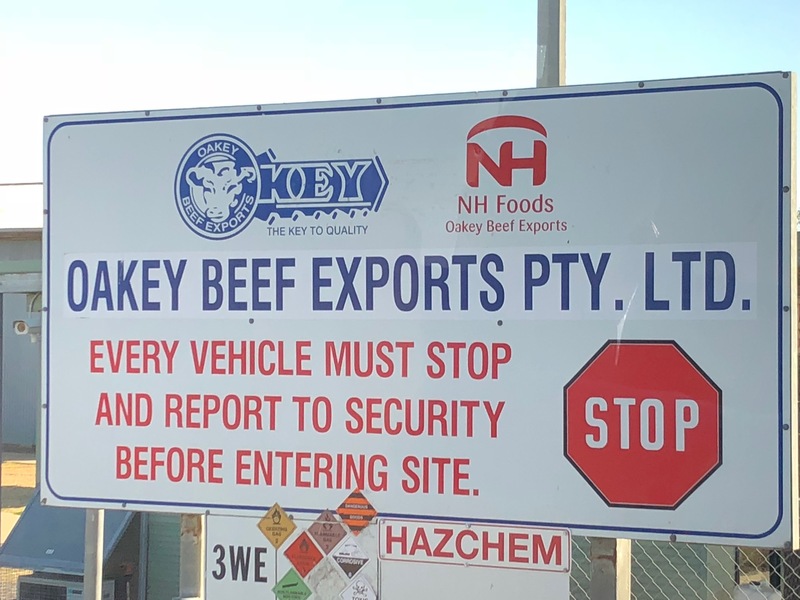 Oakey Beef Exports employs over 700 people and processes about 1000 cattle per day, or 250,000 head per year, underpinning sales of close to $1 billion worth of beef per year, including exports of grainfed and grassfed beef to 36 countries around the world. A large proportion of the cattle processed at Oakey are drawn from NH Foods’ 55,000 head Whyalla Feedlot at Texas, while the plant also processes grainfed and grassfed cattle sourced from producers from Central Queensland to northern New South Wales. Oakey Beef Exports General Manager, Pat Gleeson, said the greatest asset Australian beef has in the many export markets it supplies is the strict guidelines that underpin food safety. At Oakey that process starts with cattle being washed with warm water the day before they are processed to clean them externally and empty their stomachs. Knife operators continually rotate through a set of knives that are rinsed and sterilised after every cut, with hands washed repeatedly through the process. Carcases are chilled to seven degrees prior to grading for meat quality and inspection for food safety issues, before being chilled down to 0-1 degrees the night after boning and slicing. “It is all about controlling your cold chain and ensuring you get it from point A to point B in a sanitary manner and into refrigeration as quickly as possible, that is all part of the 140-day shelf-life journey,” Mr Gleeson explained. After every processing shift the entire kill floor is scrubbed from top to bottom, and then checked by Quality Assurance assessors equipped with mirrors to ensure no square centimetre of the plant misses inspection. After the QA inspection the plant is then given another inspection for cleanliness by AQIS officials before the next processing shift commences. In years gone by slaughtermen, boners and slicers were responsible for keeping their own knives, pouches and mesh gloves clean and were randomly inspected by QA auditors on their way into each shift. Mr Gleeson said trying to ensure 330 people individually kept their gear 100 percent spotless was difficult to control. “So we thought why not take it off them, and these days we manage it ourselves. So we put (their processing gear) on these racks, it gets washed and foamed then it all goes through a giant ultrasound,” he said. “Everyone has two sets of knives, which is part of the reduction in injuries as well. Further complementing the quality assurance process, an on-site laboratory is used to continually test swabs taken from carcases, primals, trimmings, cutting boards – “everything you can imagine” – to make sure it is clean.